Fifty Shades Darker by E.L. James. 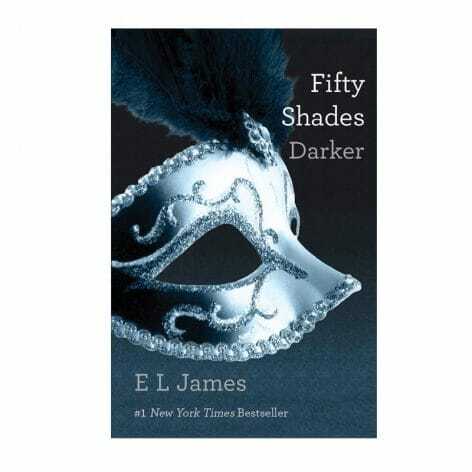 Daunted by the singular tastes and dark secrets of the beautiful, tormented young entrepreneur Christian Grey, Anastasia Steele has broken off their relationship to start a new career with a Seattle publishing house. But desire for Christian still dominates her every waking thought, and when he proposes a new arrangement, Anastasia cannot resist. They rekindle their searing sensual affair, and Anastasia learns more about the harrowing past of her damaged, driven and demanding Fifty Shades. While Christian wrestles with his inner demons, Anastasia must confront the anger and envy of the women who came before her, and make the most important decision of her life. About the author: E L James is a former TV executive, wife and mother of two based in West London. Since early childhood she dreamed of writing stories that readers would fall in love with, but put those dreams on hold to focus on her family and her career. She finally plucked up the courage to put pen to paper with her first novel, Fifty Shades of Grey.